Season 2 brings fans back into the action with Daniel LaRusso (Ralph Macchio) and Johnny Lawrence (William Zabka) after the shocking Season 1 cliffhanger featuring the return of John Kreese (Martin Kove). When a new rivalry between opposing dojos is born in the aftermath of Cobra Kai's controversial win at the All Valley Championships, Daniel realizes his next countermove is to open his own karate training school called Miyagi-Do, in honor of his mentor Mr. Miyagi. What was once a personal feud between Daniel and Johnny escalates beyond their differences to engulf their students, who as teenagers, are already challenged to figure out who they are and who they want to be. Which path will they follow - Cobra Kai or Miyagi-Do? 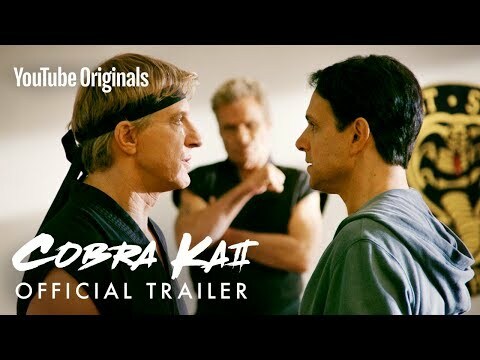 The upcoming Cobra Kai Season 2 YouTube Premium release date is April 24, 2019 in the US and the UK. Notify me when Cobra Kai Season 2 is available.